I had the opportunity to create multiple works for Oakley, including layout designs and a campaign guideline shown below. 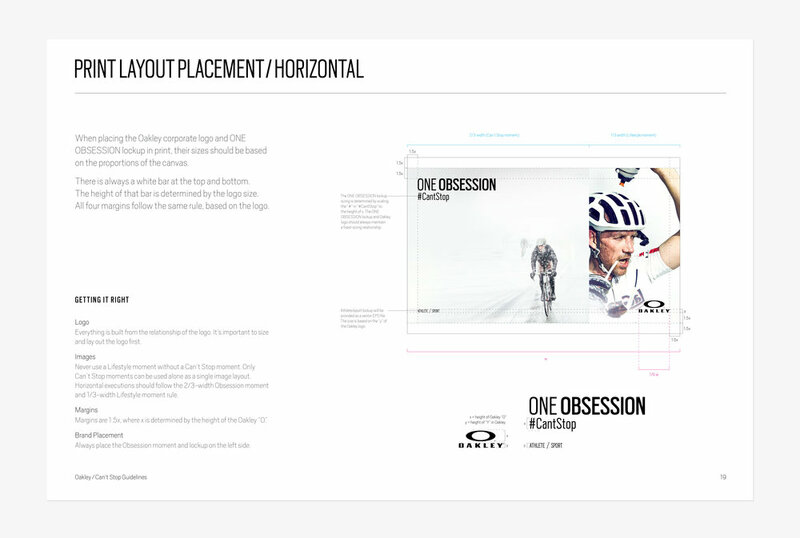 We created single and double page layouts for the Oakley brand to use as master templates. This Print and OOH project was meant to advertise the Prizm Green Fade collection. The writers were asked to create headlines without using the words "Olympics," "Rio," "the Games," or "2016."